Ian Williams may have to rethink plans for Magic Circle following his striking success here. The six-year-old gelding claimed the Chester Cup only 13 days ago and left his rivals standing in this Group Three prize. Moving smoothly into contention, the Fran Berry-ridden 11-2 shot quickly put daylight between himself and the field before crossing the line six lengths clear of Red Verdon. He halved in price for the Melbourne Cup at around 20-1, but would need to be supplemented for the Ascot Gold Cup. Williams said: “It has taken me aback a little. I didn’t think winning a Chester Cup would be beyond him, but I thought it would be tough. What he has achieved today has really announced him as a stayer on the big scene. “He was a bit cold early on and I spent half the race thinking it has come a bit quick for him, but it certainly wasn’t too quick when he was turning in and he travelled up the hill like a very good horse. “It was our plan to come here and we hoped to be placed and look at going to the Melbourne Cup with him, and that still remains our number one target. What we do between now and then has probably changed a little around today. The Henry II Stakes is named after Henry II, who founded a priory on the site of Sandown Park in the 12th century. The first running was in 1963, won by Gaul. The present system of race grading was introduced in 1971, and for a period the Henry II Stakes held Group 3 status. It was promoted to Group 2 in 2002, and relegated back to Group 3 in 2012. 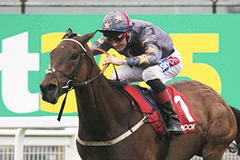 The leading horses from the Henry II Stakes often go on to compete in the following month's Gold Cup at Ascot. The last to win both in the same year was Big Orange in 2017.